First, the relationships are all "bidirectional", which really clutters the visualisation. 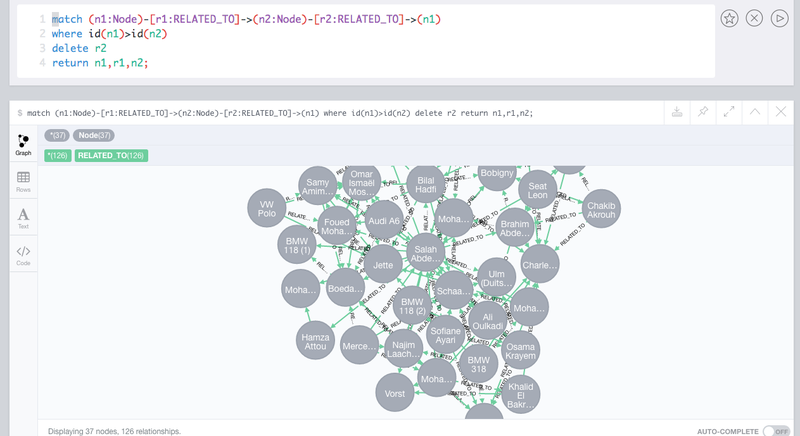 In Neo4j, relationships are always directed, which kind of makes it awkward to store these bi-directional relationships like this. Of course, this graph was originally made by De Standaard newspaper in Flanders, Belgium, so therefore it was created in Dutch. A couple of the key concepts though (type of node, status of the node) would be easily and meaningfully translated for you to have any fun with the dataset. The graph was not "labeled", and therefore lacked some essential structural elements that would allow for fun manipulation in the Neo4j Browser. The relationships did not really say anything about the type of relationship. Let's tackle these one by one. You will notice that the latest and greatest edition of the Neo4j browser allows you to specify little icons to denote the meaning of the nodes in the graph, which is a great addition. 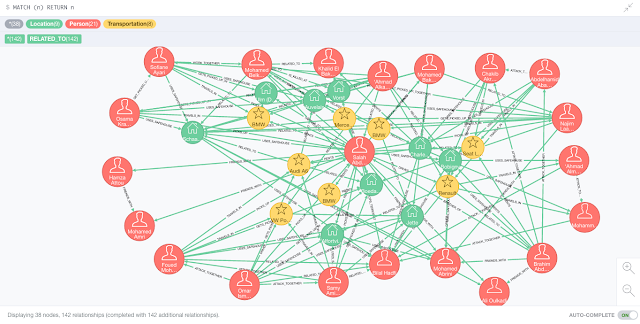 Adding relationship info to the graph. I copied the "D3 - relationships" sheet into a "Neo4j - relationships" sheet so that I could do some editing on it. 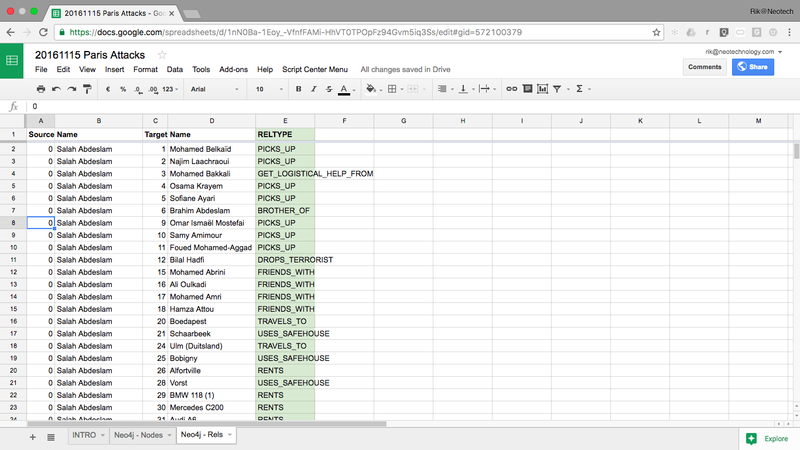 You can find the entire Google sheet over here. It actually added back some of the clutter that we had removed by removing the bi-directional relationships. So I thought I would take another approach: we can also "colour" the relationships by adding properties to the relationships instead of adding new relationship types. 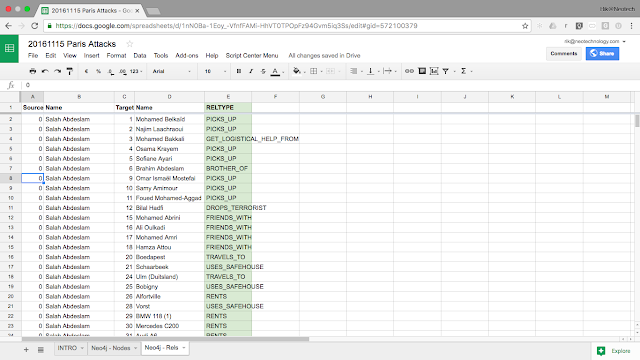 So now we are ready for querying this graph. We'll do that in the 3rd and final blogpost, which I will publish shortly. 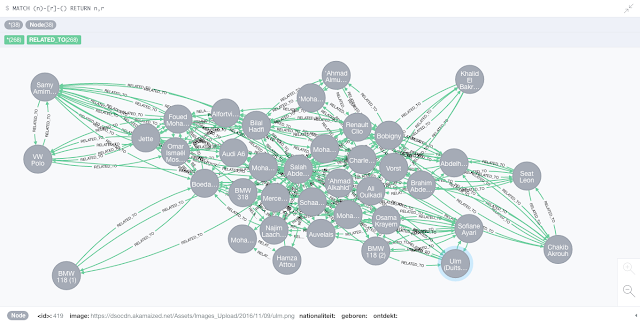 I have run the scripts on a new Neo4j 3.1 database and my results look nothing like yours. Half of the names are missing and no icons are displayed. Is there some detail missing from the article? Hi there Stub... 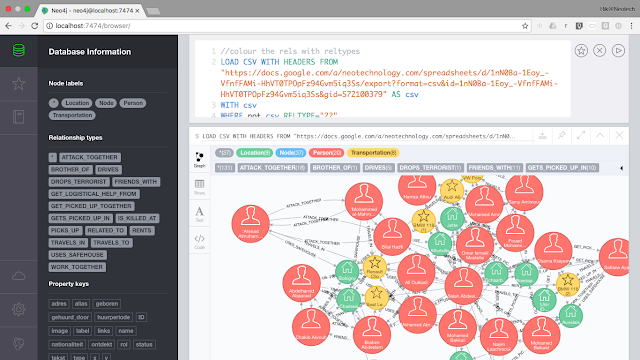 I just reran all the queries on a vanilla 3.1.1 server with apoc 3.1.0.3 (https://github.com/neo4j-contrib/neo4j-apoc-procedures/releases/tag/3.1.0.3) and it all works fine. 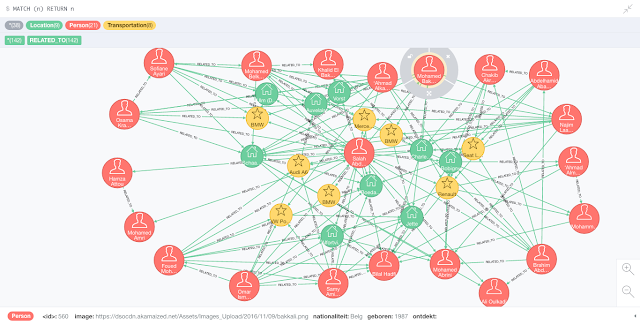 Could it be that you have the Neo4j browser visualisation wrongly configured?